Microcystins are cyclic heptapeptide hepatotoxins produced by aquatic cyanobacteria such as Microcystis aeruginosa. The wide occurrence of toxic microcystins in freshwater is a threat to the quality of water, agriculture, and human and animal health. There is actually little knowledge on the impact of microcystins on soil biomass. Here, an agricultural soil was daily irrigated with a cyanobacterial extract diluted at environmental concentrations of microcystin–leucine–arginine, from 0.005 to 0.1 mg equivalent MC-LR L−1, for 90 days. We measured soil enzymatic activities, nitrification potential activity of the soil microbial community, abundances of ammonia-oxidizing bacteria, and ammonia-oxidizing archaea amoA genes. Our results show an increase in potential nitrification for microcystin levels ranging between 0.005 and 0.02 mg eq. MC-LR L−1. Global enzymatic activities were unchanged. Abundances of total bacteria, archaea, and ammonia-oxidizing functional groups were not modified and could not explain the increase in nitrification. 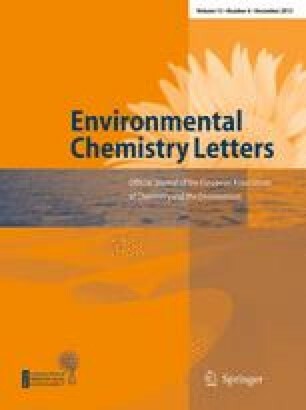 Authors thank V. Grondin, C. Marrault, G. Delarue, F. Poiroux, A. Trouvé, J.Thénard, G. Caro, B. Pey (UR PESSAC, INRA Versailles), A. Fortineau (UMR EGC, INRA Grignon), and J-P Meunier (UMR IJPB, INRA Versailles) for help and technical assistance. Soil enzymatic activities were achieved on the platform Biochem-Env, a service of the “Investment d’Avenir” infrastructure AnaEE-France, overseen by the French National Research Agency (ANR) (ANR-11-INBS-0001). This work is part of the “Investment d’Avenir” Program overseen by the French National Research Agency (ANR) (LabEx BASC, ANR-11-LABX-0034). The departments PESSAC and ESE are members of the EcoBASC Network. The research was supported with a grant to S. Corbel from Région Ile-de-France, DIM-ASTREA program No. ast110055.